Norman Connors was a 'go to' producer in the 1970s and '80s for soul and jazz, while holding it down on an impressive array of solo albums. 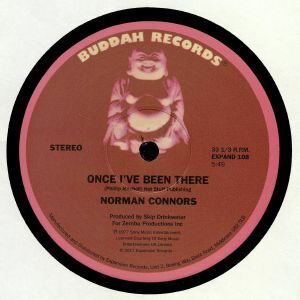 Connors is a drummer first and foremost, and across his rhythm-focussed recordings were the introduction of singers who went on to have their own individual careers such as Jean Carn, Phyllis Hyman and the exceptional Phillip Mitchel - who features on A side 'Once I've Been There'. Flipside track 'Captain Connors' comes as a 12" mix made in 1977 but never released before on vinyl! Previously, the title track was only ever on a promotional release, often changing hands at over 100 quid a time - demand is high on this special release on the original imprint, cop it while you can!